"Why Did This Happen to Me, Aunt Lou?" 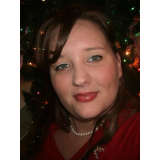 Rachel Jeanette Stolle credits her earliest foundations in Christianity to a wonderful woman named Louise Ritchie. Aunt Lou, as everyone knew her, was a caring, Godly woman who devoted her life to service and the Lord. Louise passed away in September of 2009, she suffered from Alzheimer’s disease. 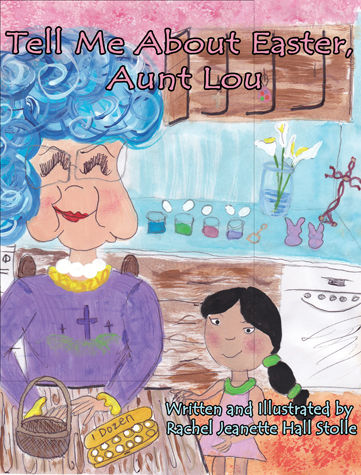 “Why Did This Happen to Me, Aunt Lou?” aims to help children who have experienced hardships or trauma in their lives to understand that God is by their side. Why Did This Happen to Me, Aunt Lou is a valuable book. Not only is it charmingly illustrated, but it also gently and clearly helps children confront the incredibly difficult issues of free will and theodicy (why bad things can happen to innocent people) and where God might be in the suffering. These are tough topics even for adults to handle in healthy ways, but in this rare book, the author Rachel Hall Stolle writes with compassion and empathy, leading children to understand that most crucial of points, that when bad things happen in their world, God is with them in their pain. Dr. Joy Jordan-Lake is a professor and the author of five books, the latest of which is a novel, Blue Hole Back Home. When young children experience trauma, it is very important to acknowledge that trauma and help a come to a place where they feel safe again. “Why did This Happen to me, Aunt Lou?” is written in a way that opens the door for dialogue and healing to begin, from a Christian faith perspective. Beautifully illustrated, it offers hope and encouragement for children who need a message of unconditional love. This is crucial in helping a child understand that they did not do something “wrong,” but rather, are cherished by God. It is the message that so many children never hear and as a result, grow to be adults with a wide variety of mental health challenges. One thing known today is that we must help children because they cannot help themselves. This book may be one thing that offers a “life ring” to a wounded child. A beautiful children’s Christian based story broad enough to deal with any crisis a child may endure. Typically, after a crisis we question why did this happen? Aunt Lou, is a loving character that explains in depth why sometimes bad things happen to good people, even children. I love the fact the author took the time to explain “free will” and how God gives us all the opportunity to choose. Even in our wrong decisions, God will forgive us and He loves and cares for each of us. The author does an excellent job of displaying scriptures to support the story. The illustrations are colorful and include children of all races. I thoroughly enjoyed the book and would love to see a possible series develop with the character Aunt Lou. Great book, I would highly recommend it! What an excellent children's book that explains God's amazing love for each of us. I love how the story addresses the fact that God loves us unconditionally and gives us all a free will, but most of all that God wants to be most important in our lives. God wants us to know how much He loves us and that Jesus died for all of our sins and all the bad things that happen to us. It also tells about people using their free will for evil. Evil is not in God's design and God's heart breaks for us when evil things do happen to us. Even though these evil things may happen God is with us and loves us so much. It explains sin and evil and God's love in such a matter of fact way that adults and children can understand and relate to. Great read for all ages. What a great reminder of our Father in Heaven's grace, mercy and unconditional love. For many families there comes a time when the questions that children pose can seem completely unanswerable. For families that have endured tragedy, loss, or some form of abuse the book written by Rachel J. Stolle can help parents answer some of the painful questions and give the child hope and love through the grace of God. Honestly, one hopes that the need for this book will never arise but for those who have the need this book fills a void that has long been empty and ignored due to the almost painful nature of the topic. This book answers the call to aid the lost and hurt children of the world and answer the question of why did this happen to me. The thing I love about this book is it tells a story about a personal situation that affects many people. The great thing about this story though is it also explains how much God loves and cares for each one of us, even in bad situations. Our Father in Heaven is always with us. God's love for us is amazing. I really enjoyed reading this book, it was wonderful and I recommend it to everyone. Why Did This Happen to Me, Aunt Lou? ,by Rachel Jeanette Hall Stolle is a beau tifully illustrated children’s book, that deals with a difficult question that we all ask at one time or another. Who hasn’t wondered why bad things happen to them? Why some people just seem to be downright mean? Although this book doesn’t provide a clear cut answer to a question that really has no answer, it does discuss how we can turn to God for comfort and strength, through the voice of Aunt Lou, a character based on a special person in Rachel’s life, Louise Ritchie. The book is written in language and manner that is easily understandable by children big and small, and the author’s faith shines through clearly. It is a wonderfully inspiring book that applies to everyone, not just children. It includes helpful Bible verses for reference, and delightful illustrations that were created with the author’s own hand, provide a wonderful lesson in faith. 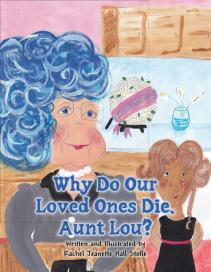 Why Do Our Loved Ones Die, Aunt Lou?